Is it Anxiety, Stress or PTSD? Everyone experiences a little stress in their day-to-day life. Having anxiety in your life is considered just a part of modern life. But sometimes that stress and anxiety overwhelm people. The things that get called trauma come in all shapes and sizes. Many times these traumas resolve in a short period of time. Traumas that don’t resolve, that hang on for long periods of time and interrupt your daily life, can turn into a serious mental illness such as an anxiety disorder a stress-related disorder or even Posttraumatic Stress Disorder. If you’re struggling with difficulties, anxieties, stress or even some traumatic events it is helpful to know just what kind of problem you’re dealing with. Some things will sort themselves out on their own. Other times anxiety, stress, and trauma need professional help. Here are some of the problems that you might be experiencing and some thoughts about how to tell the different problems apart. Stress is that reaction the body has to challenges from the environment. Stress can be small and repeated or large and dramatic. Even good things can be stressful. That first day on a new job can be full of stress even when you really want that job. Many people get sick the first week on a new job. Weddings or the birth of a baby can be stressful also, even when these have been something you have looked forward to. Most of the time people have stress and it goes away. But over time people can accumulate a great deal of stress, and this can result in physical, emotional and mental illnesses. One very important life skill is learning how to manage and reduce stress. Take a look at the other posts on counselorssoapbox.com about stress and stress management. Animals get stressed and so do people. Humans are not the only creatures to get stressed. Animals in the wild can have a very stressful life. Sapolsky wrote a very interesting book called “Why Zebras Don’t Get Ulcers.” The main difference between humans and animals seems to be how they adjust to stress after it has come and gone. Animals who were stressed returned to a low-stress state very quickly. Humans get stressed and years later they are still experiencing that stress. 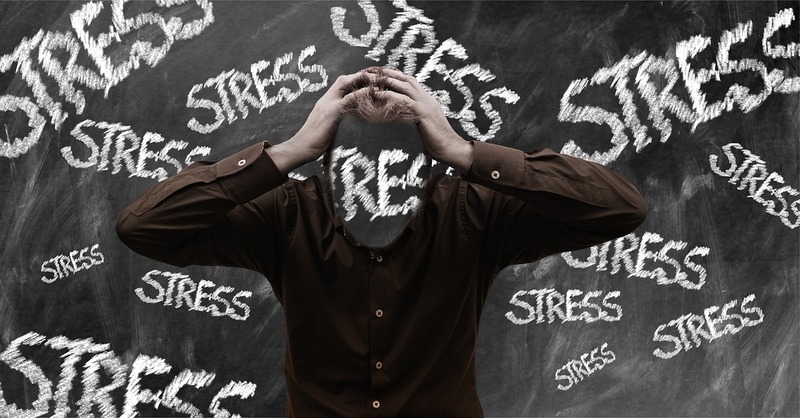 For humans, this accumulation of stress over time can result in chronic illnesses. Anxiety is a normal human response. But when it gets out of control it can become a disease. If you’re in a dangerous situation, anxiety and even fear can help you stay safe. If the volume on your anxiety is turned up too high, it can cause you to overreact to many everyday situations. Sometimes people have what they call anxiety attacks. For a brief period of time, they feel excessive anxiety but eventually, these anxieties attacks subside. When this high anxiety continues too long and begins to interfere with your daily life, your job, or your relationships, it is excessive and may be diagnosed as an anxiety disorder. There are a number of different recognized Anxiety disorders depending on the particular features of your anxiety. Post-Traumatic Stress Disorder or PTSD. Post-traumatic Stress Disorder or PTSD is a diagnosable mental illness. Sometimes in life people experience overwhelming traumatic experiences. They may witness a violent death, a tornado, hurricane, or other natural disasters. In these events, the person may fear that they or someone close to them is going to die. This condition was originally identified in the veterans returning from war zones. It has since been identified in civilian populations who have been exposed to traumatic events and feared for their lives. As a result of this trauma, people begin to develop difficulties functioning. Some people will struggle with these problems for short period of time a month or so. Other people will very quickly return to normal function. In some cases, as a result of these traumatic experiences, people will continue to have symptoms for years afterward. These continuing symptoms may be PTSD. Repeated traumatization becomes more difficult to heal from. There has been a good deal of research and writing about a condition that is sometimes called complex trauma. While it’s not an official diagnosis, is helpful for many people to think about it this way. Someone may be able to experience a trauma and recover from it. If that same person experiences the same trauma repeatedly, each time it becomes more difficult to recover. If you are struggling with anxiety, stress or PTSD consider getting professional help. This entry was posted in Anxiety, PTSD & Stress, Trauma- and Stressor-Related Disorders and tagged Anxiety, anxiety disorders, Complex Trauma, Fear, PTSD, Sapolsky, Stress, Why Zebras Don't Get Ulcers by David Joel Miller. Bookmark the permalink.